If you are looking for the perfect investment this may just be it: a Ritz-Carlton Penthouse is selling for $14.5 Million. 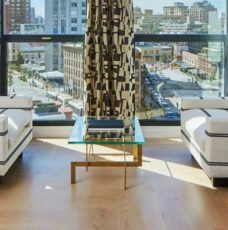 There are staggering views from every room of this Manhattan penthouse overlooking New York Harbor and the Statue of Liberty. 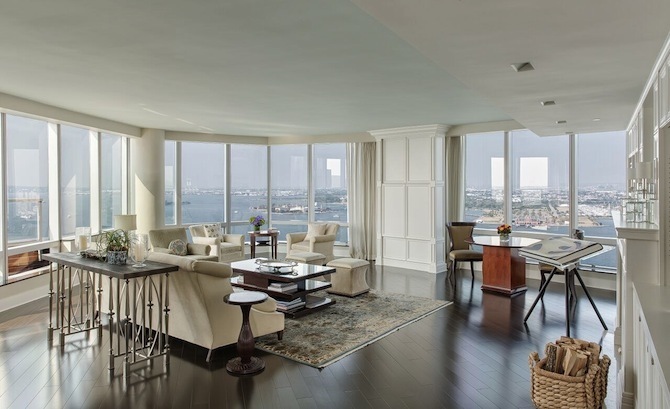 Built in 2003 and located on the top two floors of the Ritz-Carlton Battery Park City, the residence offers all of the perks of hotel living. 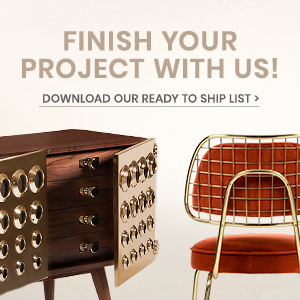 And The Most Expensive Homes is ready to show you everything! 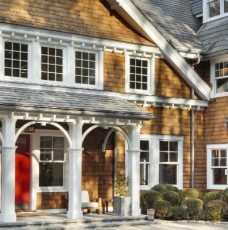 On the lower level, the sun-drenched home features a marble foyer, a corner living room with a wood-burning fireplace, a library, an eat-in kitchen, a formal dining room, and an office. The second floor houses the bedrooms, including a master suite that has floor-to-ceiling windows and a marble bath. 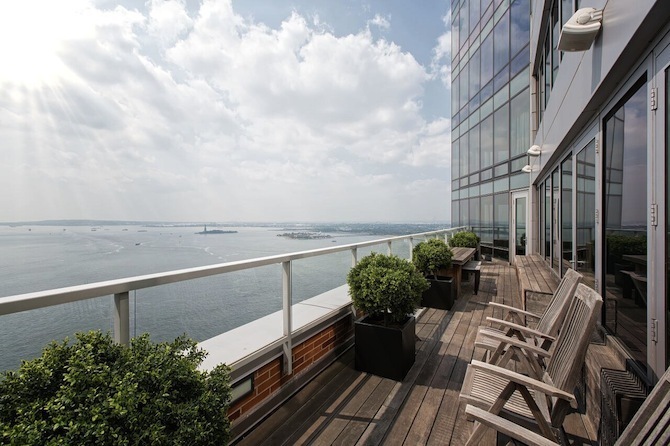 The apartment also has a private 300-square-foot terrace with harbor views. The building offers first-class amenities such as a 24-hour concierge, room service, a fitness center, a spa, housekeeping, and valet parking. 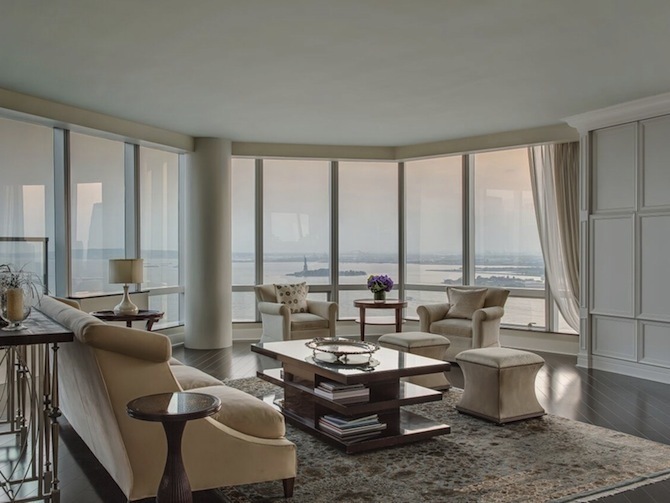 Floor-to-ceiling windows in the living room provide spectacular views of New York Harbor. 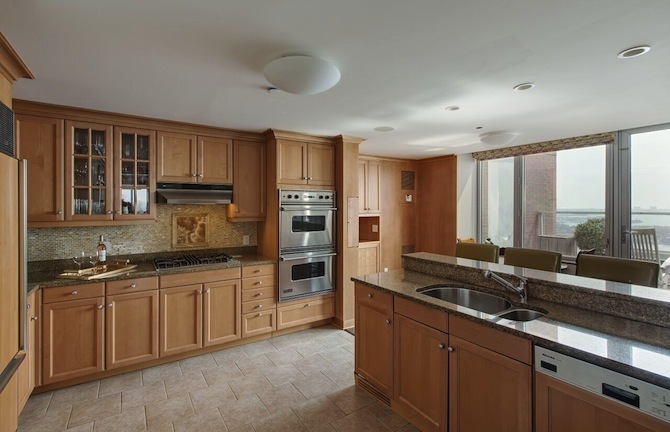 The kitchen features natural stone countertops. The 300-square-foot terrace is accessible from the living room, dining room, and kitchen. Therefore, the walls of glass surround the master suite.